Working the child's psychomotricity with exercises designed to promote and stimulate the correct placement of the body, arms, hands and posture throu­gh basic exercises, we also work on rhythm­ic and musical stimulation, Clapping helps and coordination of the body (feet, arms, hands, fingers), all this makes the little ones become famili­ar from the early age with flamenco music ­through didactic games. 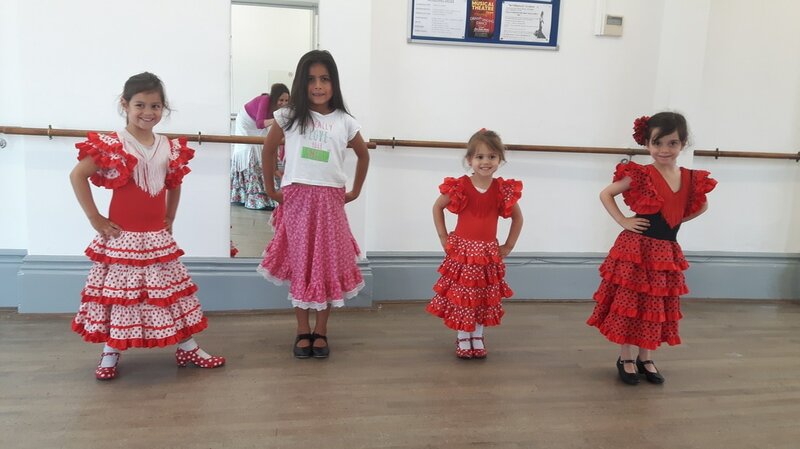 In particular, flamenco helps and strengthens children in developing key skills to succeed academically, helps them develop their ability to concentrate and discipline, as well as overcome and awaken their creativity. Children who have experience in dance tend to perform better on school tests and in math and science competitions. Ballet provides multiple benefits for children in both physical and psychic development, as this dance requires great concentration for mastery of the entire body, in addition to developing flexibility, coordination and rhythm. Ballet, besides art, is an exercise that has multiple and positive benefits, both physical and psychic, for children.